Presently, when an operation is going to be performed at a hospital, people first locate all the instruments that the surgeon will require, inspect them, arrange them on a tray, sterilize them, and then deliver them to the operating room. 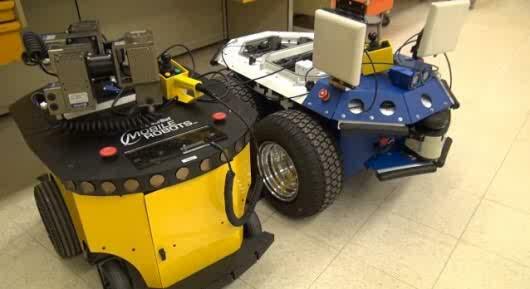 According to General Electric’s GE Global Research division, however, robots could do all of those things better. To that end, the group has recently partnered with GE Healthcare and the U.S. Department of Veteran’s Affairs, in a US$2.5 million two-year project to develop just such robots. Drawing upon data from the Institute of Medicine, GE states that “between 44,000 and 98,000 patients die every year due to preventable medical errors accounting for a $12-$25 billion cost to the U.S healthcare system.” The company hopes that by removing the human error factor from the process, the use of an automated robotic system will bring those numbers down. Not only should this reportedly save lives and money, but it should also allow more patients to be processed within a given time, and free up staff to perform other duties – which admittedly could include being unemployed. The backbone of the system will include a “mash-up” of technologies such as robotics, RFID (radio frequency identification), and computer vision. Every aspect of the system will be based around that common backbone, allowing human users in different hospitals to customize and configure it according to their needs – as opposed to having to develop a complete system from scratch. All surgical instruments will be given a unique ID, so that they can be identified by the various specialized robots. One of the biggest challenges may lie in teaching the robots to handle and test those instruments, although GE does have an existing base to build upon. “The technologies we’re investigating have been used to automate manufacturing processes in industrial settings for years, and we believe they, in combination with a new level of intelligence, can have a substantial impact in hospitals,” said Lynn DeRose, Principal Investigator and Auto-ID technology expert with GE Global Research. She provides more information in the video below. Once completed, a prototype of the system will be tested at a veteran’s hospital. 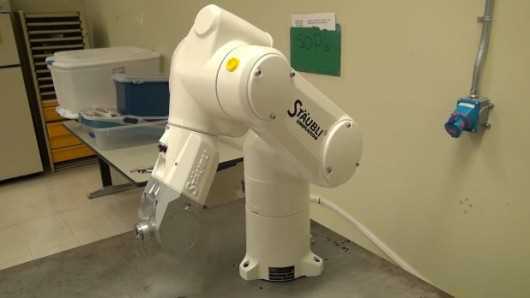 In an unrelated project, the University of California at San Francisco Medical Center recently replaced the human workers in its pharmacy with a robotic system.